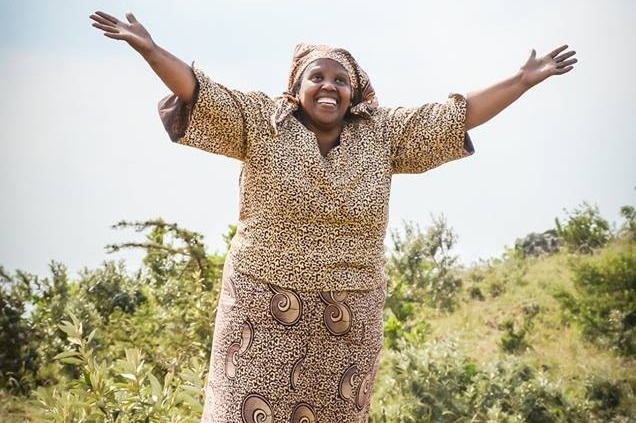 HELP SAVE MAMA ZIPPORAH, Mother to the Motherless, who has saved thousands of Kenyan children! Mama Zipporah was recently diagnosed with multiple myeloma, a relatively rare form of blood cancer. Mama Zipporah is a fighter and she is ready to take on the disease, however, the cost of her care will be significant. Mama Zipporah has over 300 children currently living in the home and/or attending school at Huruma. Her support staff will continue to manage the day-to-day operations, but Huruma's children need their beloved Mama to be well and remain present in their lives. Mama Zipporah established Huruma Children's Home in 1990 with the help of her late husband, Pastor Isaac Kamau. The home is located outside of Nairobi in Kenya. Huruma began as an orphanage, but Mama saw a need for the children to be educated and built a school for preschool through grade 12. Mama Zipporah's love and compassion has saved thousands of children who would have otherwise had nowhere to turn. She has selflessly cared for, sheltered, fed, and educated scores of Kenya's poorest and most vulnerable children. Her home's mission is to empower children in need to become productive members of society through rehabilitation, education and self-reliance skills. Let's poor out all of the blessings Mama has bestowed on others back onto her in the form of livesaving donations toward her medical care. In addition to financial support, Mama Zipporah is a prayer warrior and she asks that you join her in prayer for her healing.